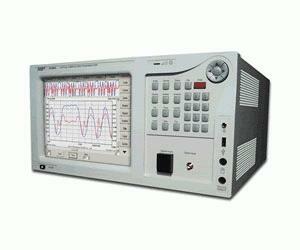 While optical spectrum analyzers can only measure power and wavelengths of modulated signals, Apex Technologies complex spectrum analyzer is able to measure the optical phase as well. The patented method is based upon a spectral analysis of the optical field, of which the amplitude and the phase of each frequency component are analyzed when all components are spaced by a fixed frequency (Fr1=2.5GHz or Fr2= 625MHz). By knowing the amplitude and the phase of each spectral component, the temporal variations of the amplitude and the phase are calculated by the Fourier transform, providing the intensity and the chirp or phase as a function of time.